Landscaping product demand is forecast to grow 5.3 percent per year, from $5.3 billion in 2014 to $8.2 billion in 2019, as the market continues to recover from the effects of the 2007–2009 recession. 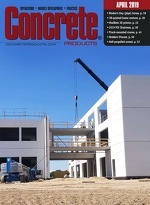 Of four major categories profiled in Landscaping Products, a new five-year outlook from market researcher Freedonia Group, hardscape units—concrete or clay pavers, segmental retaining wall units— lead the pack with projected annual growth at 7.3 percent, from just over $2 billion in 2014 sales toward $2.9 billion in 2019. Strong residential and nonresidential market activity, growth in existing home sales, and increases in disposable incomes will support gains in hardscape units and shipments in the study’s three remaining product categories: Decorative (4.5 percent growth, $2.87 billion to $3.57 billion, 2014–2019); Outdoor Structures (4 percent; $905 million to $1.1 billion); and, Other (3.8 percent, $470 million to $565 million). Additionally, demand will be influenced by long-term drought experienced in the West and South, plus growing environmental concerns of consumers mindful of water consumption. The residential market is by far the largest of the three major markets for landscaping products, accounting for nearly 70 percent of all 2014 sales. According to Freedonia analyst Christine O’Keefe, “The popularity of outdoor living spaces such as outdoor kitchens and living rooms will continue to grow as homeowners look to increase their usable living space.” Such living spaces will drive demand for landscaping products, including concrete pavers for patios and flooring, bricks and stones for walls and seating areas, and trellises and pergolas for cover.